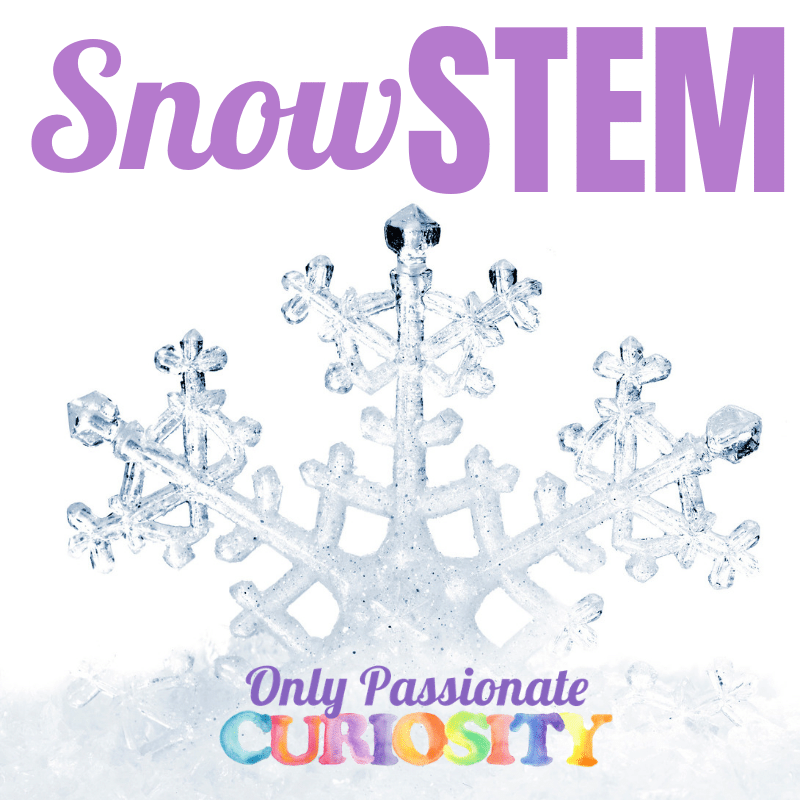 There are so many STEM (science, technology, engineering and math) connections when it comes to snow and ice. 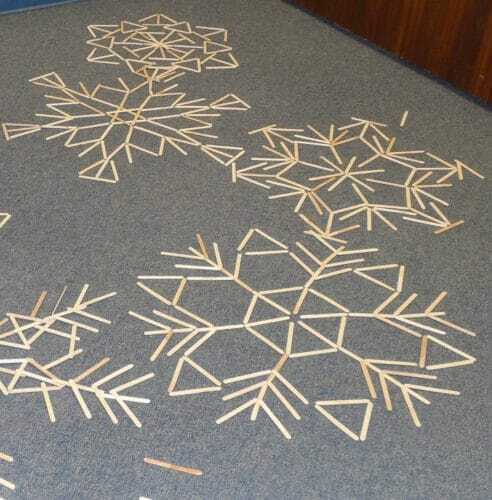 Turn a chilly time of year into a fun learning experience with these ideas that connect snow to the STEM disciplines. Snow science is fascinating and beautiful. 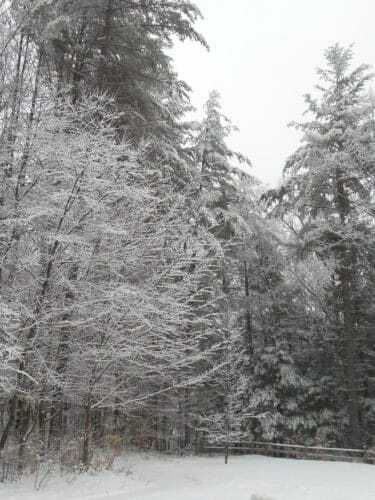 Snow is made up of tiny ice crystals. Forming way up in the clouds, each flake comprises a unique symmetrical beauty that makes its way down to Earth. You can find out what is inside snow besides water by doing these simple snow science investigations. Seeing the symmetrical, six-pointed crystalline structure of an actual snowflake can be a little tricky. Even if you catch a pristine snowflake it may melt from your breath as you lean in to take a closer look. It is not impossible, however. A really simple way to see a snowflake up close is to take some black paper or fabric outside on a day when there is a light, fluffy snow falling. 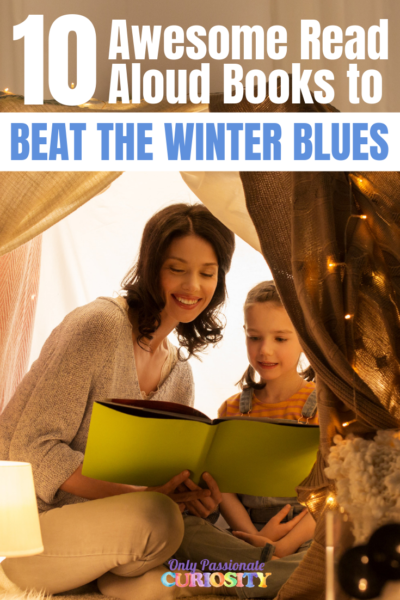 Catch snowflakes by holding the paper or fabric flat. Bring a magnifying glass to see them up close. It may be difficult to examine actual snowflake crystals, but it is not hard to grow similar crystal structures. You can use a kit like this to grow crystals very similar to ice and snow crystals at home or in the classroom. Another alternative for examining different crystal structures is to stick some common household substances under a microscope, or magnifying lens. Try salt and sugar, what shapes do you see? Snow and ice take different forms, like frost and slush. 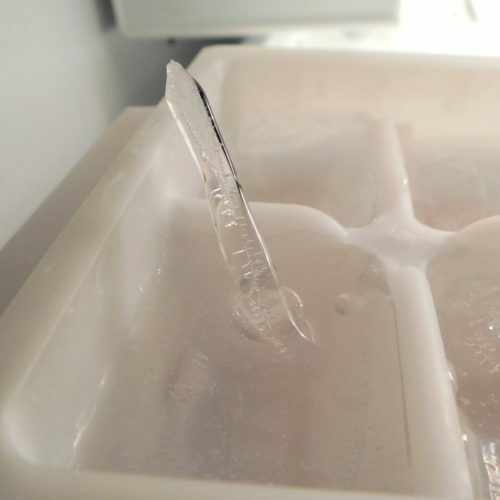 You can create an ice structure that is rarely seen in nature, the ice spike, by doing this ice science investigation. We aren’t all fortunate enough to run a high-tech science lab, but with the power of the internet, anyone can take a closer peek into some of the most interesting snow science studies in the United States. Kenneth Libbrecht is a scientist with an interest in the snow among many other things. Visit his snow crystals site and you will find videos of snowflakes growing right in front of your eyes, as well as a ton of other science perfect for middle school and older. Have kids put on their engineering design hats and challenge them to design and build a symmetrical, six-pointed snowflake. 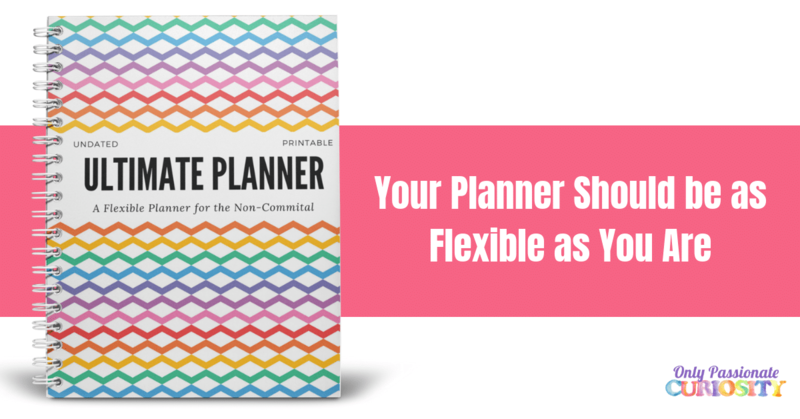 Craft sticks, cotton swabs, pipe cleaners and other craft supplies are perfect for this. If they can build one on a flat surface, extend the challenge to building a snowflake in three dimensions! 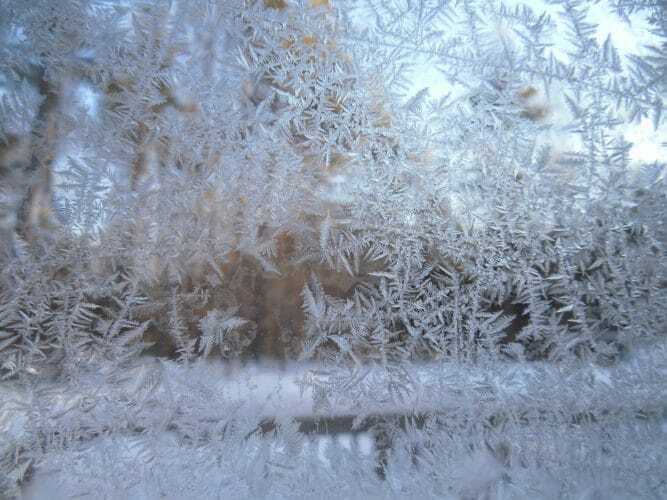 Two math concepts inherent in snowflakes are symmetry and angles. Being able to identify symmetry gives children early geometry skills and the ability to categorize different shapes. 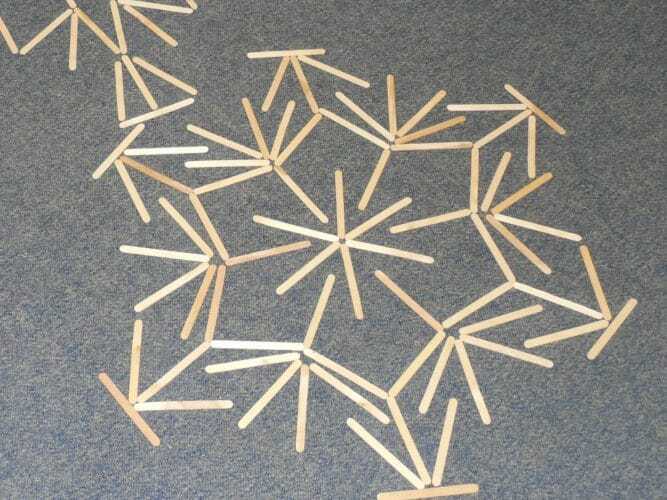 Kids can practice drawing symmetrical snowflakes by constructing them out of paper. Have your children or students cut out a traditional paper snowflake out of colored paper. Once it is unfolded, cut it down the middle. 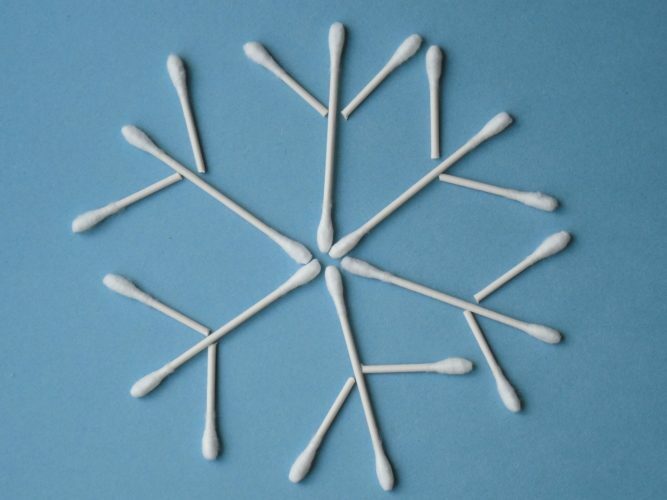 Have kids trade the snowflake halves with one another, or you. They should then place the half of the snowflake on a white piece of paper and try to draw the missing portion of the symmetrical shape. This is a great exercise in paying attention to detail. Is there a maximum size for an angle in a snowflake with 6 points? Are there common angles throughout all of your snowflake designs? What angles can you find and measure in other symmetrical objects? 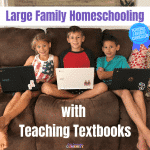 My name is Sarah Benton Feitlinger and I am a science educator with over 10 years experience sharing science in nature and environmental centers, museums and schools. I have been studying science and nature in one way or another pretty much my whole life! 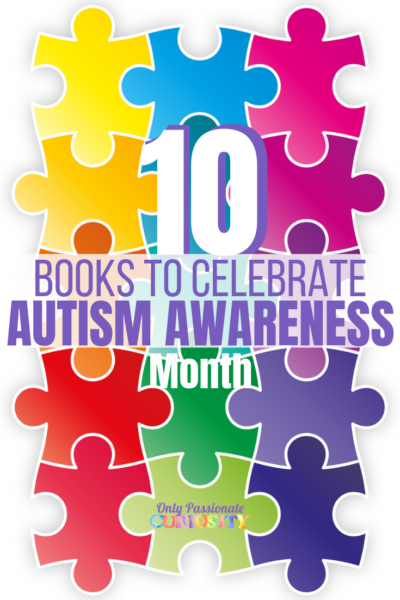 I have a passion for making science understandable, and my goal is to make it accessible for everyone. 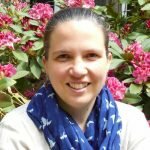 My blog focuses on connecting current events in science to resources and activities for teachers, parents, and students.